Polynucleotide gel to improve lubrication of joints and viscosity of the synovial fluid. Disposable sterile injection. Package. The package contains one sterile apyrogenic prefilled syringe. Each syringe contains 2 ml of the solution. Ingredients. Each prefilled syringe contains: 20 mg/ml polynucleotide, injection water, sodium chloride, monobasic sodium phosphate dihydrate, dibasic sodium phosphate dodecahydrate. Product description. It is a viscous, clear and transparent polynucleotide solution in the prefilled apyrogenic sterile disposable glass syringe (2 ml of the solution). Fish polynucleotides are heavily purified; their content is 20 mg/ml. Thanks to its viscosity improving characteristics and ability to bind high quantities of water the product lubricates the joint and helps to restore viscosity of the synovial fluid. Use. 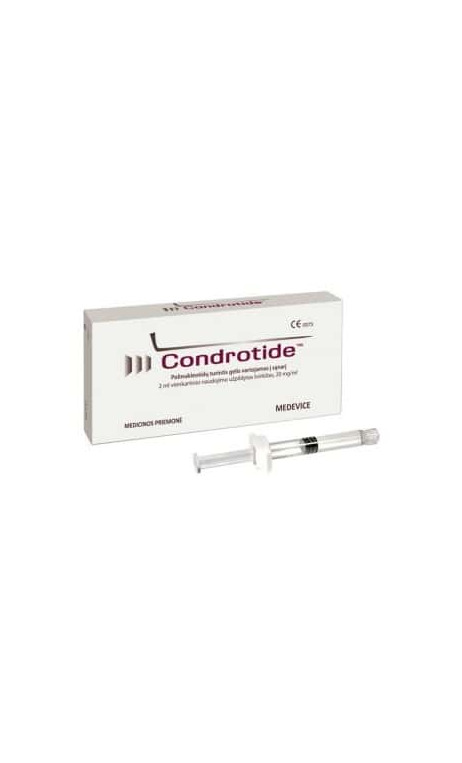 Condrotide™ is used for painful joint pathologies caused by degenerative post traumatic diseases or joint deformations. Thanks to its viscoelastic characteristics and lubrication the product helps to restore optimal rheological and physiological characteristics of the joint. Improving the synovial fluid the product thus protects joints and promotes physiological mechanisms of joint cartilage restoration. This helps to improve joint function and reduce painful symptoms. User instruction. The medicinal product should be injected directly into the joint with the sterile 20G needle. Only qualified medical staff can do such injections following the general joint injection standards and paying particular attention to sterility of the injection point. Due to viscosity of the solution the needle should be screwed tight into the Luer-Lock connection. Check if the syringe is tight and there is no leak between the needle and the syringe during injection. Dosage. Unless otherwise prescribed by your doctor, inject the gel (2 ml) from a single prefilled syringe (40 mg of polynucleotide) into the damaged joint once a week. Treatment course is 3-6 injections. Usage restrictions. Condrotide™ should not be used for the patients sensitive to any ingredient of the preparation or allergic to fish. The product should not be injected in the case of infection, joint inflammation or damaged point of injection. Be especially careful in the case of infection close to the infiltration point because there is a risk of bacterial arthritis. Efficiency and safety of Condrotide™ to pregnant and breastfeeding women and children has not been proven yet. Possible side effects. 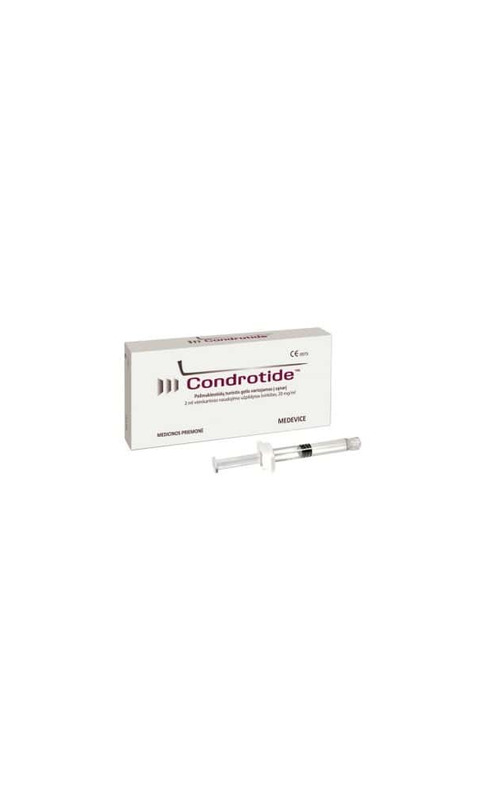 Injection of Condrotide™ into the joint may cause the following side effects: pain at the injection point, sense of heat, redness and swelling. The symptoms usually pass quickly but they can also be reduced by applying ice on the joint and keeping the joint still. If the symptoms persist, visit your doctor. Doctors should warn their patients on possible adverse effects caused by the use of the product. Precautions. The product can be used only once (single use). 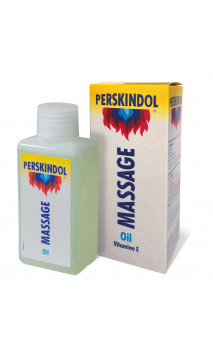 Use carefully in the case of leg lymph or venous stasis. Eliminate liquid from the joint cavity before the injection. Advise your patients to avoid physical exercises involving the joint before the injection. Normal activity should be resumed in a couple of days. Do not use disinfectants containing quaternary ammonium salts or chlorhexidine. Do not inject in blood vessels or a place other than the joint cavity, synovial membrane and joint capsule. If the syringe contains additives, the product should not be used. Precautions. KEEP OUT OF REACH OF CHILDREN. Only qualified medical staff can do injections into the joint. Check for the package damage before use. If the package is damaged or has been opened previously, the product should not be used. Do not use the product after its expiry term indicated in the label. The expiry term applies for unopened package stored in the appropriate conditions. Keep the package closed tight away from light and heat. Do not freeze. Use the opened product at once. Do not pour into sewage or dispose with domestic waste. Prescription only.